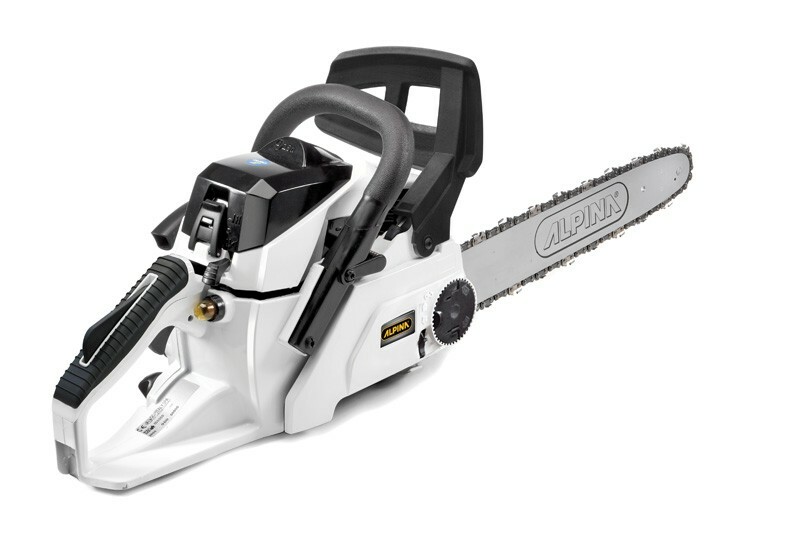 ALPINA PETROL CHAINSAW C38T: Petrol chainsaw equipped with 37.2 cc (1.20 KW/ 1.63 HP) engine. 14"-35 cm bar and .3/8" .50" chain. Model equipped with automatic adjustment of the oil pump and tool free system for chain tensioning. Euro 2 approved chainsaw with low emissions of exhaust fumes. Easy start system.